You might be surprised to learn that the traditional classic notebook has come back in popularity in the last few years. This trend seems to be lasting, despite the fact that technology is progressing at a very fast rate. To all intents and purposes, nobody actually needs to carry around a notebook when we have tablets and phones. There is, however, something very appealing about the traditional notebook - a bit like using a old fashioned dial up phone, it is nostalgic. The notebook harks back to an error when people carried notebooks to jot down their thoughts wherever they might happen to be. The notebooks send out a message that there is some creative thought happening. The notebooks are also very tactile and the whole process of easing away the elastic to open the pages to write something down can just make ones life go a bit slower, and that cannot be a bad thing. And the reality is, if you want to jot down an idea or a drawing / diagram, it still is a lot quicker to do it the old fashioned way. 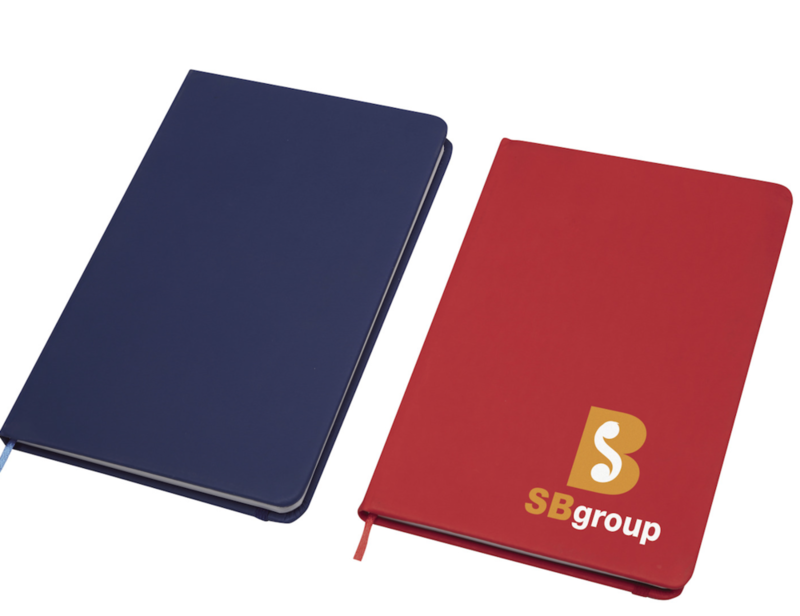 Hence these notebooks are now more popular than ever as an accessory, usually carried around alongside a tablet. 100 @ £1.96, 250 @ £1.60 and 500 @ £1.45. They have a soft touch PU cover available in black, red and dark blue. They have a matching elastic closure and page marker with 50 lined pages. Newer PostA great new promotional gadget for 2016 - Panorama Twister!